Home » Home and Garden » Home Decoration » Getting The Ikea Kitchen Cabinets Together. Getting The Ikea Kitchen Cabinets Together. 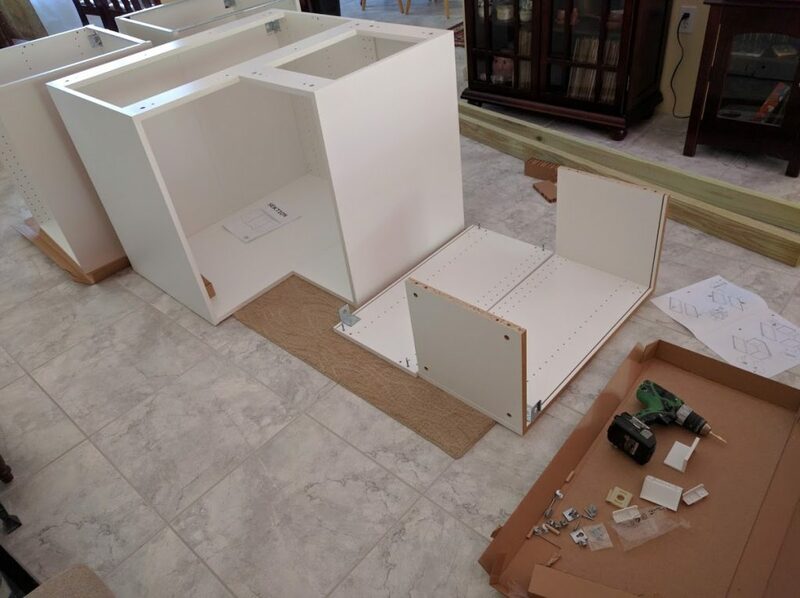 Take you time when it’s time to put your Ikea kitchen cabinets together. Pay close attention to the details in the drawings in the manual. 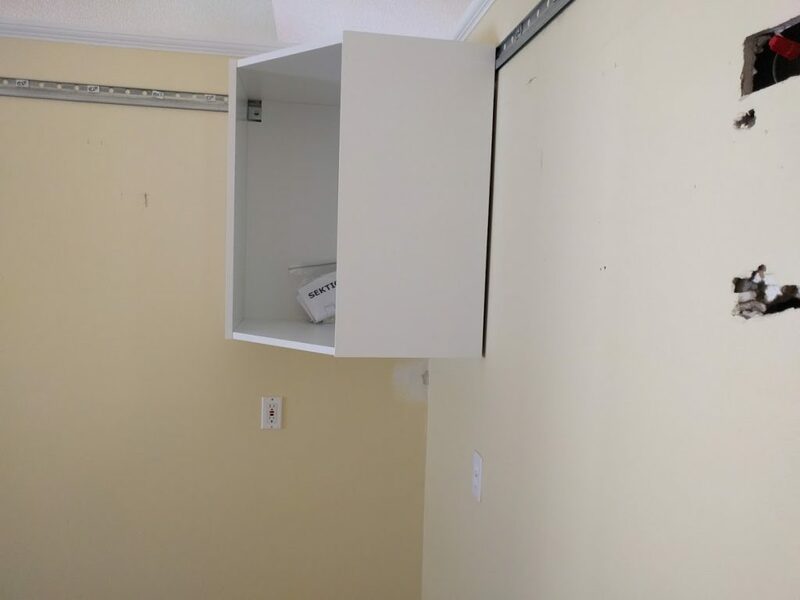 You put one cabinet together and skim over the next cabinet manual and it looks the same, so you’re an expert now, and can do it without the manual. DONT! You will save time taking a close look at the illustrations. This is how all the instructions looks like. No words, only illustrations. I started putting my corner cabinets together. Both for the base and the corner wall cabinet. This way it would be easier to see how much off the wall angles was and how to deal with that. This is my cabinet “put together area” setup. A rug and cardboard on the floor and plenty of space to move around the cabinet. First cabinet is hanging. Take a look at the rails it’s hanging on. 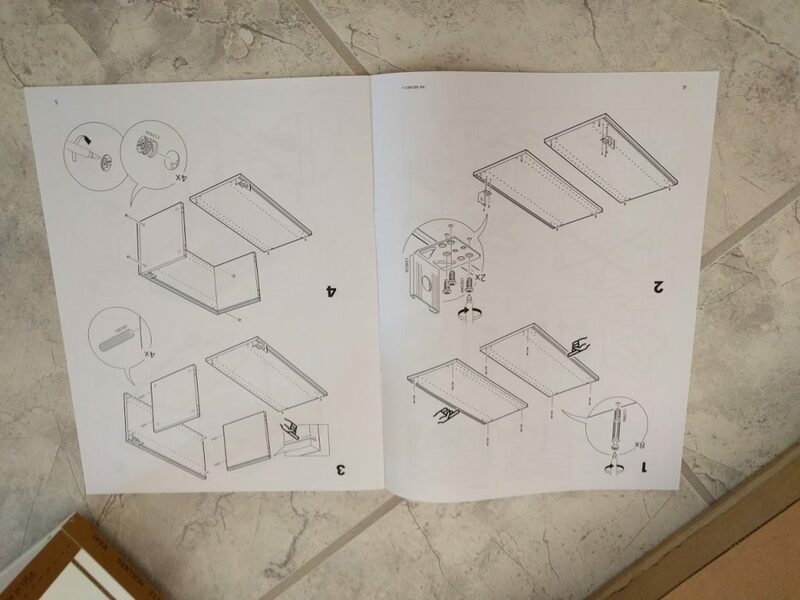 It’s a very simple system from Ikea. 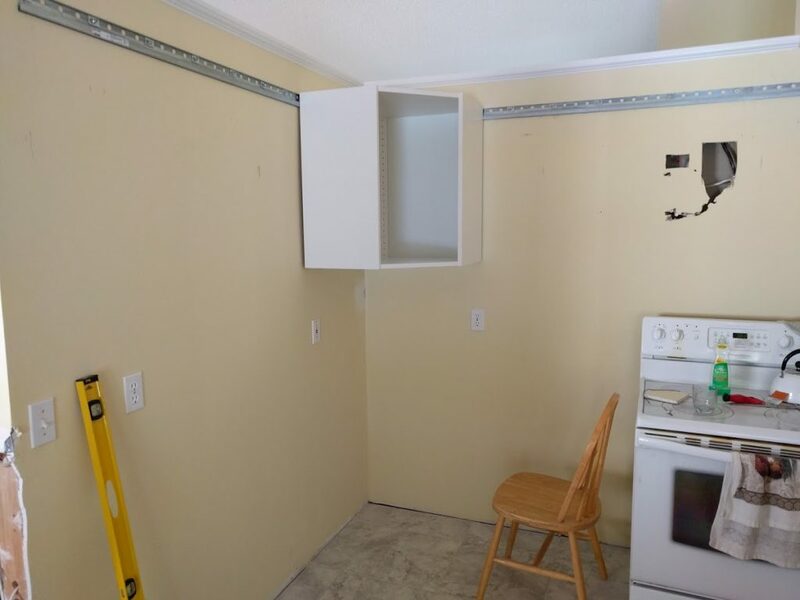 You just hook the cabinets on the rail and they will always hang straight. In ONE direction that is! Be very careful with uneven walls. Make sure to use some kind of spacers between the rails and the wall, if there are any indentations in the wall. Because when you tighten the rail to the wall, it will follow the shape of the wall, and when you tighten the cabinet to the rail, they will follow the shape of the rails. 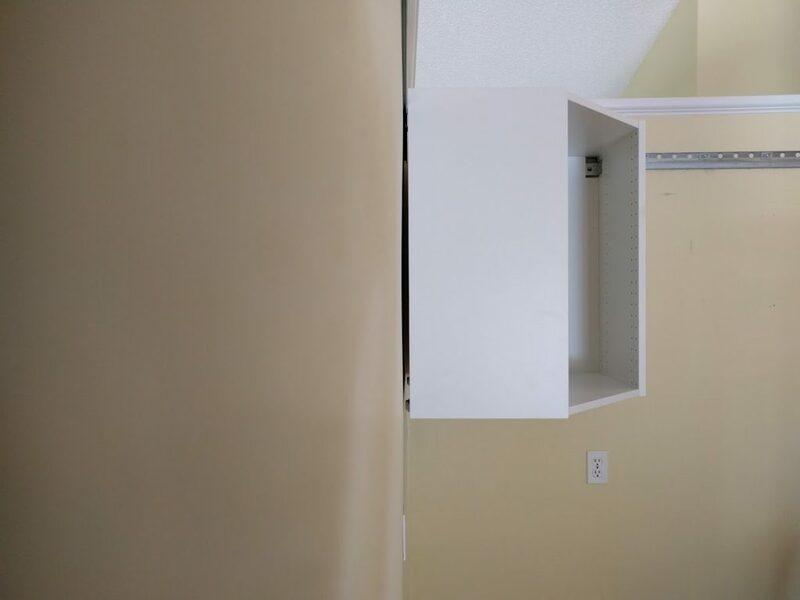 So uneven wall = gaps between sides of cabinets, either in the front or in the back. This wall if fairly plumb and the cabinet hangs ok for me to continue. This side wasn’t as good. It’s a 3/4 height wall and I guess it’s over the time had started leaning a little from the cabinet weight. Not much to do about that (unless I rebuild the wall) so I just have to make sure the cabinets hangs plump. I cut slim pieces of wood to put between the cabinet bottom supports ans the wall, until it was plumb.